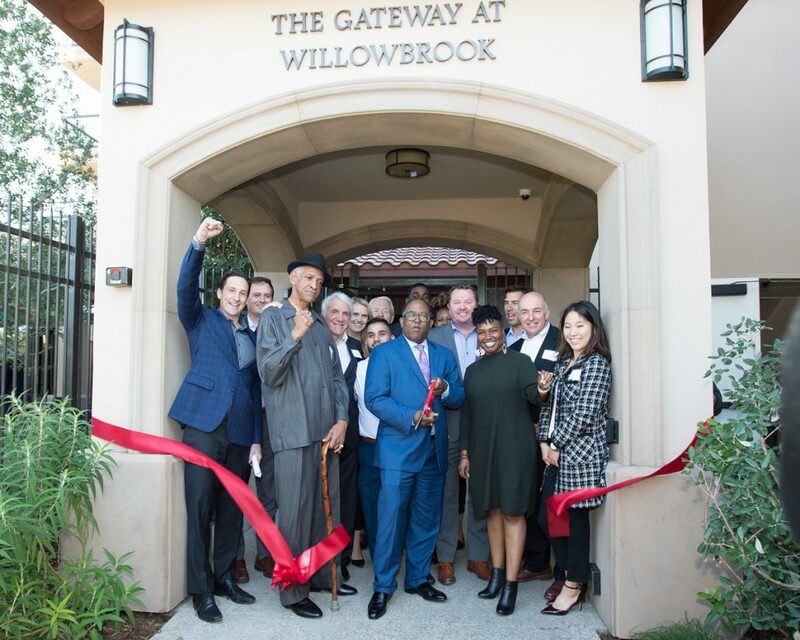 Supervisor Mark Ridley-Thomas celebrated the grand opening of the Gateway at Willowbrook, an affordable living development with 105 apartments for seniors, including 22 apartments for seniors who had been homeless. Developed by Thomas Safran & Associates, the development features one and two-bedroom apartments designed to accommodate seniors ages 62 and older. Each apartment features wall-to-wall carpeting, vinyl flooring and a modern kitchen, complete with appliances. The exterior facade of the new Gateway at Willowbrook. The property is beautifully landscaped with an outdoor barbecue area and seating. 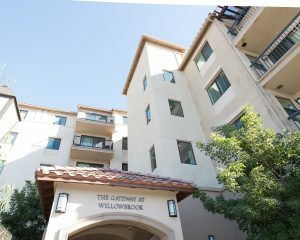 There is also a spacious community room, computer room, fitness center, laundry facilities, and ]secured entry with intercom. Community movie nights, arts and crafts, bingo, monthly birthday parties, and more are provided by the onsite management staff. As an added bonus, the newly built 8,0000-square foot Willowbrook Los Angeles County Public Library is located on the ground floor of the building. Within walking distance are the Martin Luther King Jr. Medical Campus and the Willowbrook-Rosa Parks Station. 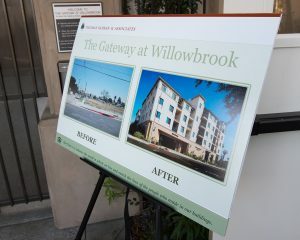 “This project truly serves as a new gateway into the neighborhood of Willowbrook, providing much needed affordable housing – and public gathering space – supporting the entire community,” Andrew Gross, President of Thomas Safran & Associates, said.